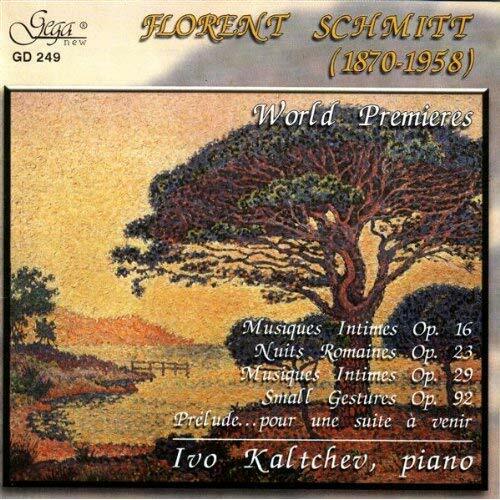 Musiques intimes (1891-1904): Captivating piano miniatures by Florent Schmitt that reveal the composer in his most introspective moods. 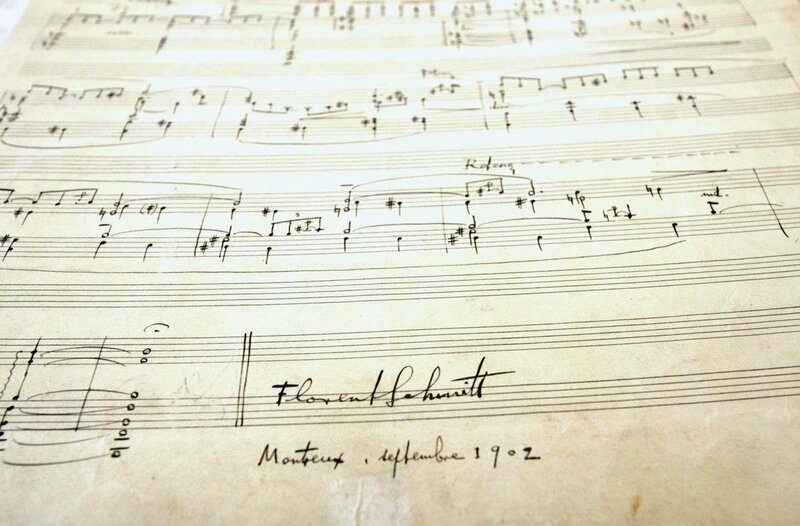 A page from the manuscript for Florent Schmitt’s Musiques intimes (Book 2), signed and dated by the composer (September 1902). Florent Schmitt may be best-known for his opulent orchestral scores, most of which were written in the first three decades of the 20th century. But Schmitt’s compositional career, which spanned more than seven decades beginning in the late 1880s, contains so much more than just those creations. Taking a look at the composer’s extensive catalogue — some 138 items plus additional works without opus numbers — we notice a preponderance of vocal and piano music produced early in the composer’s career. The large quantity of such scores shouldn’t be surprising, considering that the piano was Schmitt’s own primary instrument. In these early works, the composer’s unique style isn’t fully on display, and influences of other composers — most notably Schumann, Chopin and Fauré — are certainly evident. Still, these works are full of musical imagination and are highly rewarding taken on their own terms. Two charming sets of piano miniatures that date from this early period are the Musiques intimes. The composer created two “books” of pieces, each made up of six numbers. Book 1 was composed between 1891 and 1900 and was published by Heugel in 1901. As such, the music pre-dates Schmitt’s Prix de Rome period (1900-04), during which time the composer traveled extensively throughout Europe, North Africa and the Middle East, gathering up new musical influences along the say. Collectively, the six pieces that make up Book I of Musiques intimes are fewer than 12 minutes in length, and for the most part the music poses few technical challenges for performers. 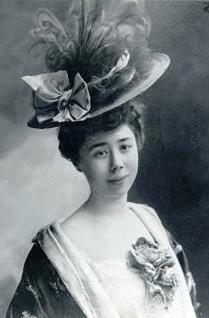 French pianist Marguerite Long (1874-1966), photographed in about 1900. Although historical documentation is somewhat sketchy, it appears that the famed pianist Marguerite Long performed these pieces as early as 1907, but whether her presentation was actually the premiere outing of this music is difficult to ascertain. It is possible — even likely — that various numbers in Book 1 received other public performances prior to when Marguerite Long took them up. Several years were to elapse between the publication of Book 1 and the appearance of a second set of pieces under the name Musiques intimes (Book 2), Op. 29. The six pieces that make up Book 2 were composed between 1898 and 1904, meaning that several of the numbers in this set were created during Schmitt’s time at the Villa Medici in Rome. 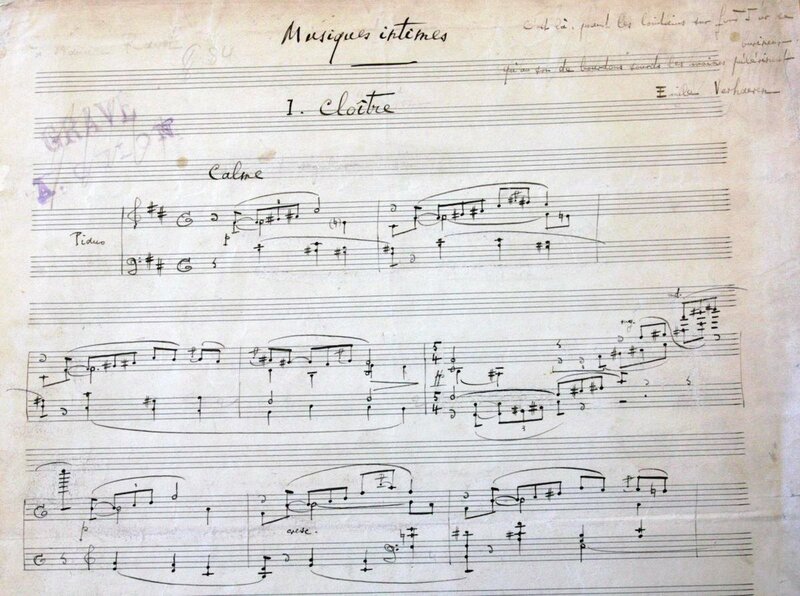 The original manuscript for the “Cloître” movement of Florent Schmitt’s Musiques intimes (Book 2), prepared in the composer’s characteristically precise, meticulous handwriting. The greater musical complexity of the six pieces that make up Book 2 contributes to the length of the composition — 16 minutes as compared to 12 for Book 1. Moreover, the music is more technically challenging for pianists — and more virtuosic in places. Book 2 of Musique intimes was published by Mathot/Salabert in 1912, nearly a decade following the work’s completion. In the meantime, its various movements were premiered by different pianists such as Marthe Dron and Ariane Hugon. The two sets of Musiques intimes haven’t achieved the same degree of awareness and popularity as Soirs, another early Schmitt collection of piano pieces. Part of the reason may be that while the composer orchestrated Soirs — as he did much of his other piano music — he did not do so for either set of Musiques intimes. First recording of Musiques intimes Book 2: Alain Raës (1985). Despite its relative obscurity, thankfully we do have several fine recordings of this music. 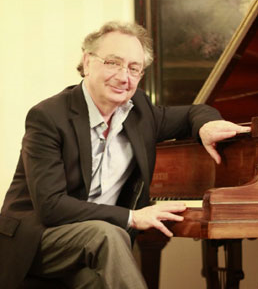 The French pianist Alain Raës recorded Book 2 in 1985. 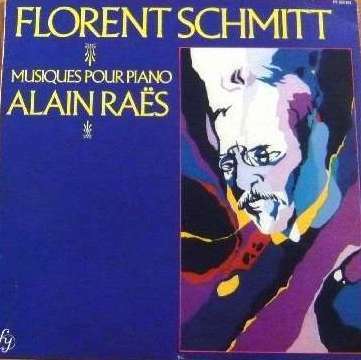 It was released on the FY label as part of a 2-LP anthology of Florent Schmitt’s piano music. Unfortunately, while most of the original recording’s music was reissued in the CD era, the Musiques intimes Book 2 wasn’t among them, due to space constraints on the compact disc. As a result, this recording of Book 2 isn’t easy to find. First recording of both sets of Musiques intimes: Ivo Kaltchev (2001). 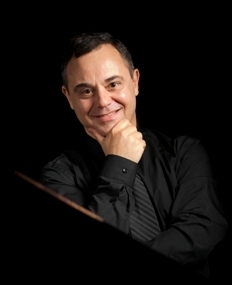 Ivo Kaltchev recorded both Book 1 and Book 2 of Musiques intimes in 2001. His highly idiomatic performances were released on the Gega label, and both sets have also been uploaded to YouTube. Book 1 can be heard here, while Book 2 has been uploaded along with displaying the sheet music, so listeners can follow along with the score. In addition to these commercial recordings, a number of French pianists have made it a point to include various numbers from Musique intimes as part of their recital programs. 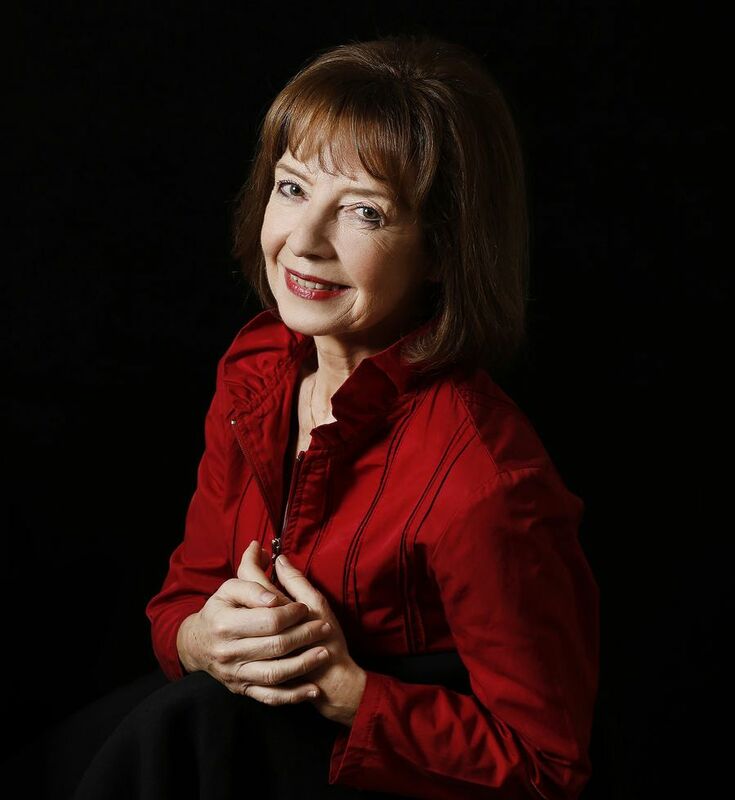 One such pianist is Anne Queffélec. Her 2014 performance of the final piece in Book 2 (Glas) at Oji Hall in Tokyo, Japan was captured on audio and is available to hear on YouTube. But even with the advocacy of some pianists, there’s no question these charming miniatures deserve to be better-known — and championed by more pianists. Each of the pieces in both sets is its own special gem, and collectively the music is represents pianism on a high level. Hopefully, more performers will add Musiques intimes to their recital repertoire and present its charms to more audiences around the world. This entry was posted in Classical Music, Composers, French Composers, Piano Music and tagged Alain Raes, Anne Queffelec, Florent Schmitt, Gega, Ivo Kaltchev, Marguerite Long, Musiques intimes, Pierre-Octave Ferroud, Schmitt. Bookmark the permalink. « Pianist Alain Lefèvre reminisces about working with the great French violinist Christian Ferras, and together preparing Florent Schmitt’s Sonate libre (1918-19) for tour.